This is a semi-automatic camera. It has a strange shape as it is very tall for its' height. This camera has a leaf shutter and a removable back. The film speed is set on a dial on the top deck which has a metering window next to it for manual operation . Happened to see Fed-10 camera with strap lugs on body. Shutter: 1s, 1/2s, 1/4s, 1/8s, 1/15s, 1/30, 1/60s, 1/125s, 1/250s + B. 1. Fed-10 camera. An earliest known camera with selftimer on the shutter plate. Strap lugs on body. Without date prefix in the serial number yet. 2. 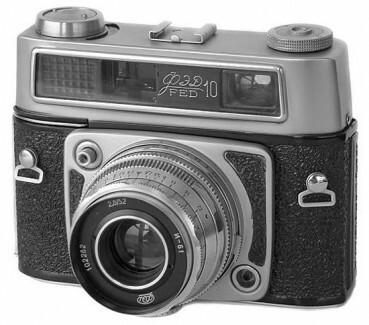 Fed-10A camera. Identical to 1st version, but without selftimer already. Strap lugs on body, no date prefix in the serial number yet. 3. 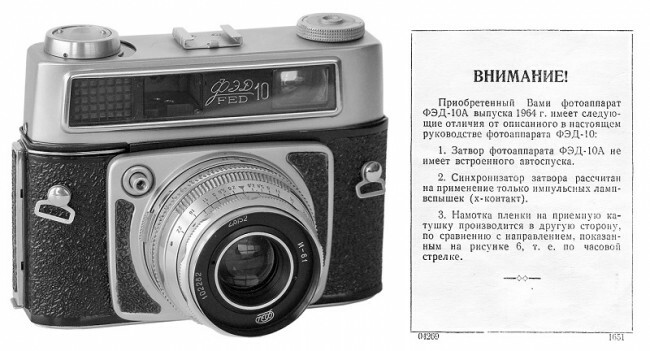 Fed-10A camera. 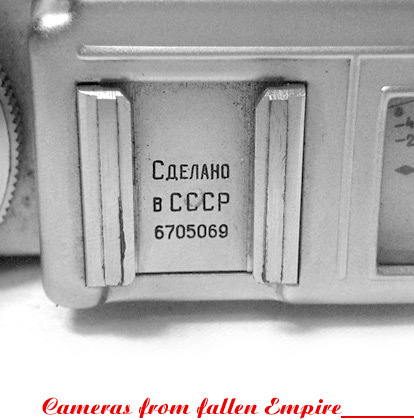 Camera identical to 2nd version, but with date prefix in the serial number already (see camera #6408943 above). 4. 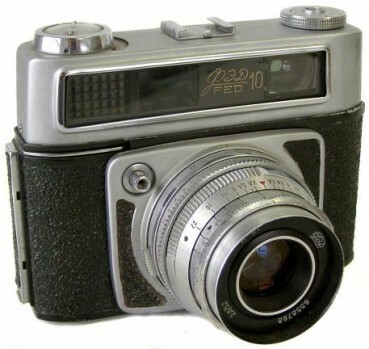 Fed-10A camera. Quite common to find version without strap lugs already. Both body and lens serial numbers with date prefix already (see camera #6514103 opposite).